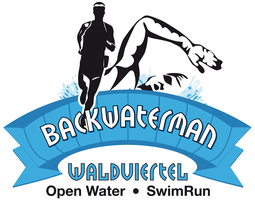 SwimRun Marathon 40 k - backwatermans Webseite! The focal point is Schloss Ottenstein, which offers a unique panorama of start and finish, as well as registration, award ceremony, revenge lettering and closing banquet in a medieval castle. The participants over the marathon distance experience the great nature of 2 reservoirs. While the Dobra reservoir in the upper part of the character has a river and in addition the castle Waldreichs; two tourist highlights. In the second half you enjoy the most important part of the Ottensteiner reservoir with its untouched nature. 14 runs and 13 swimming sections (over 7.8 km - 950 m the longest stretch of water) offer a lot of variety in this fjord-like landscape. Start and finish in front of Ottenstein Castle is a unique experience. 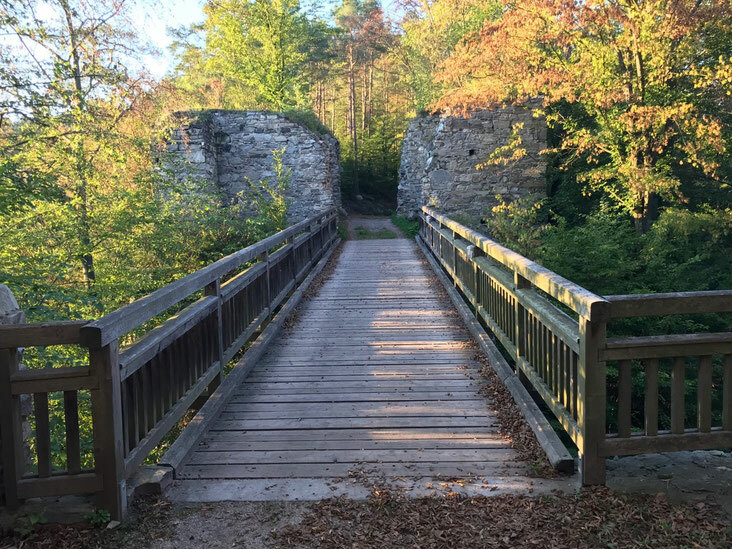 The nature trails, the castles, ruins, some power places, rocky exits and some surprises, as well as wonderful views arise on the whole route. The water temperature at the Olttensteiner reservoir according to experience will be between 20 and 22 degrees. Temperatures at the Dobra reservoir are usually 2-3 degrees lower. This race starts at 9.00 - only as a team. The race briefing for the participants on theevening before the race during champagne reception is mandatory in order to be instructed in all rules and hints. The circuit is identical to the 2nd and 3rd loop of the half marathon starters, so there will be some encounter with the starters of the other distances when you run from the marathon loop at the Dobra Reservoir to these participants. While the trial starters turn back to the castle at the central hotspot and boarding point, the half marathon and marathon starter are heading for the long lap towards Zwettel. Attention: please turn left at the central refreshment point on the last loop. There are 3 cut-off points on the marathon track, which will be based on the experiences of the slowest participants and will be evident from the route overview. In total, 9 refreshment stations with water, iso drinks and carbohydrates(in colder temperatures with tea / soup) will strengthen you accordingly.